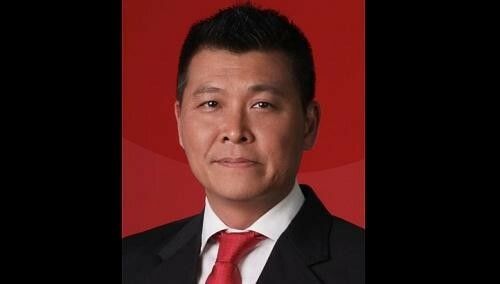 DBS Bank has introduced a new app allowing mobile phone users to apply for loans while on the go. The move comes as the bank reports that the use of mobile banking for its online banking services has doubled in the past year. For the new app, called Quick Credit, users need only an identity card, a payslip and an iOS or Android device. The app will even automatically populate the loan approval form with information taken from pictures of one's identity card. With a clean credit record and the correct documents on hand, loans can be approved "within minutes", said Mr Anthony Seow, head of cards and unsecured loans at the bank. The app has been downloaded more than 1,000 times since it was launched about a week ago. Of the 50 applications made, six loans have been disbursed. Said Mr Seow: "They don't need to provide their payslip if they already have an account with us. The app will ask for an applicant's employment details and history, for a minimum loan of $3,000. "We want to persuade customers to get loans from us instead of moneylenders… As a bank, we are transparent. We are working with ABS (Association of Banks in Singapore) on how we can be more transparent with customers," he added. Mr Louis Foo, head of the bank's eBusiness unit, said the bank has seen "exponential growth" in the digital space. He said: "A year ago, mobile banking accounted for 23 per cent of the daily log-ins to the bank's Internet and mobile banking services. Now, this number has climbed to nearly 50 per cent." He added that more than 20 per cent of the bank's one million daily transactions are done via mobile banking. DBS has invested heavily in mobile apps, with a total of 12 apps in the app stores, covering banking, lifestyle and cards. Mr Foo said that the bank is looking to consolidate these in the next six months. Half a million users have downloaded the apps so far, with 10,000 to 15,000 downloads a month. Another such app is Home Connect, which allows a user to view the places he is interested in and their transaction histories. It also has a loan calculator function and has been downloaded close to 300,000 times. Said Mr Seow: "A business app strategy is important as the mobile phone penetration (rate) is high... It is time for us to be aggressive in the mobile app sphere." The Media Development Authority said that Singapore's mobile penetration rate was 150 per cent in 2011. Smartphones are further estimated to make up 72 per cent of all cellphones here.